Amazing Second Valley just gives so many Photographic opportunities, Calm one Day rough and rugged the next. I was lucky enough to get a few shots in before a massive storm front hit making this path unreachable. I Have video of the waves smashing on the rocks, head over to my Youtube channel to see. 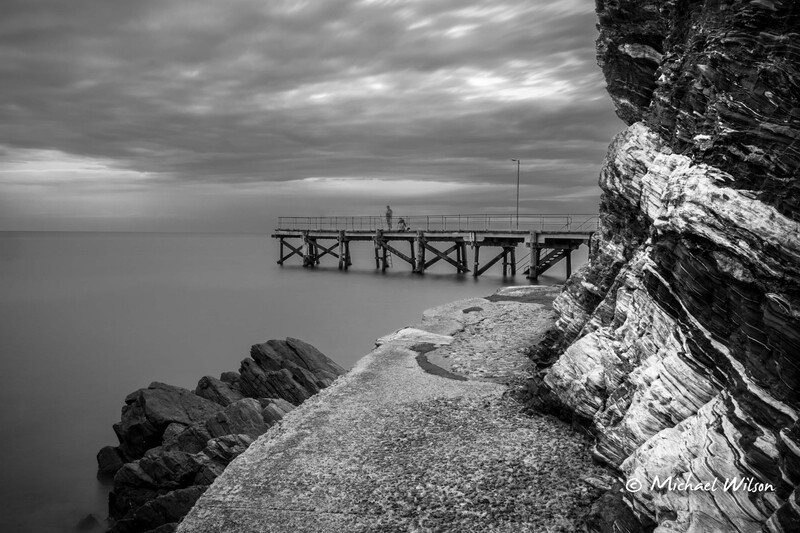 This entry was posted in Photography, Travel, Video and tagged Adelaide, beach, black & white, Cloud, colour fx pro, Life, Lightroom, Monochrome, People, Photography, Sea, Second Valley, South Australia, travel, vlogging, youtube. Bookmark the permalink. Love the composition! Nice lead-in from the rock face and path to the pier in the distance.